The App Store ban on apps made using templates or app creation services has been lifted. 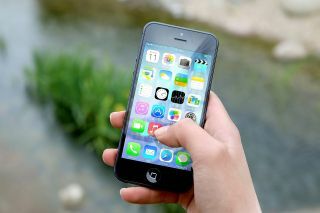 Apple has decided to lift a ban on apps made using templates and other app creation services in order to help small businesses, non-profits and other organisations build their own apps to better reach their users. The company changed its policy last year in an effort to rid the App Store of the high number of low-quality and spam apps. Unfortunately, the ban ended up hurting smaller organisations and clubs that did not have the necessary funds or talent to build their own custom apps. Small businesses and organisations will now be able to go through a third-party to create their apps. However, the app template service should not be the one submitting the app to the App Store and the businesses or organisations must now do that themselves. The reason behind this is that Apple wants everyone submitting an app to read through all of the documentation and licensing agreements themselves so that they can play a greater role in the app publishing process. The company also stressed the fact that apps should not be identical to one another nor should they be plain copies of a business' web page. Instead, each app should be unique and offer a deeper and richer experience than a simple web page. In early 2018, Apple will also waive the $99 developer fee for government agencies and non-profits, so expect to see some new apps from local organisations next year.